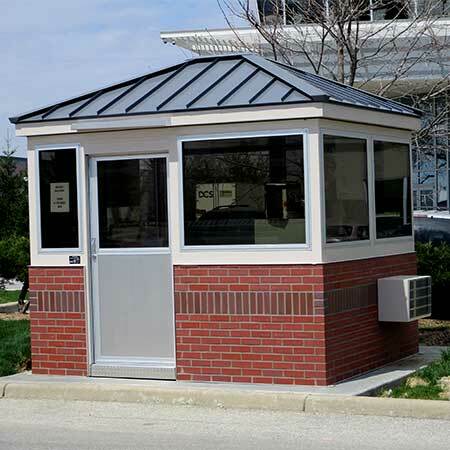 Guard House, Guardhouse No matter what you call them, pre-assembled Guard Houses from Little Buildings, Inc. are the answer to many security needs. 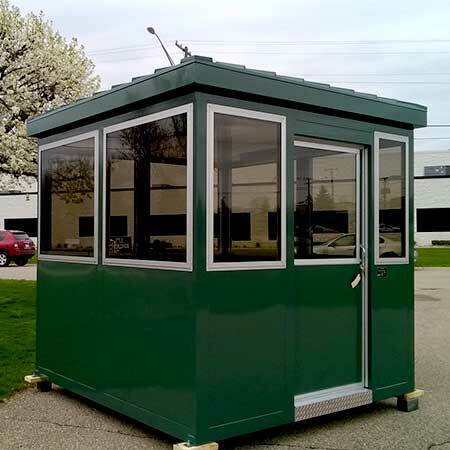 Your Guard House will ship direct from the factory totally assembled, ready to set, connect, and use! 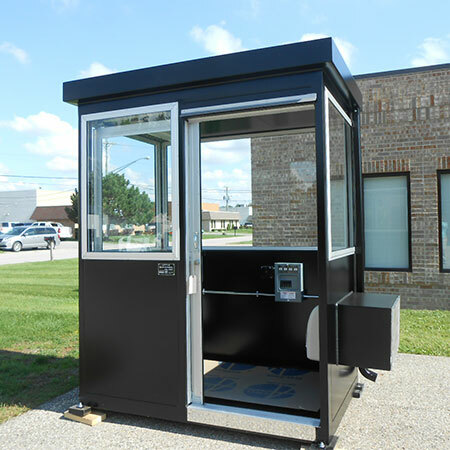 Whether you call it a Guard House or Security Booth, we have the solution for your needs. Our experienced sales staff is ready to assist you with answers to Guard House questions you may have regarding options, modifications, special applications including bullet resisting guard houses (there's no such thing as a bullet proof guard house) and guard house with restroom, Guard Booth stand mounted, etc. 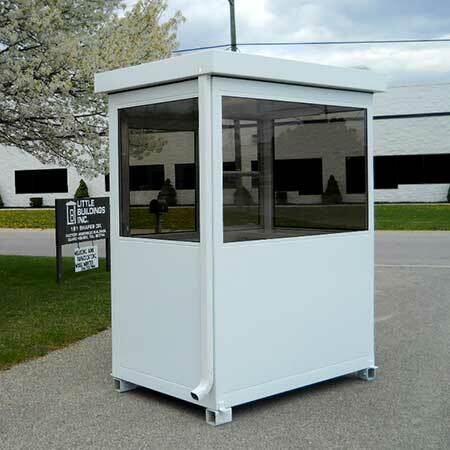 Little Buildings guard houses and prefabricated control booth are the highest quality Guard Booths on the market yet still are very competitively priced. Our Guard Shacks are built from galvanized steel for superior strength and longevity. Mig welded unitized frames and panels assure they withstand years of rugged use. While competitors may offer a Guard House the same size, they may be constructed from press board with thin skins of aluminum and merely riveted together. We don't compromise on quality workmanship and materials in our prefabricated guard houses which means you get the best guardhouse for the buck! Guard House Capabilities Your new Guard House from Little Buildings, Inc can include built-in counters, equipment cabinets, computer and video mounts. Since each Guard Shack starts from scratch we can relocate doors and counters, and eliminate windows from standard locations. Feel free to contact us to get the answers you need to make your Guard House purchase decision with confidence. Should you already have a sketch of your security booth requirements you can email it to us by filling out our contact form on our contact Page for a quotation. You have come to the right place if you need a guardhouse for sale! When you are looking for a Guard House for sale get the most value for your money by buying a quality, reliable guard house or Security Guard Buildings from Little Buildings, Inc. BELOW IS A SMALL SAMPLE OF SOME OF OUR GUARD HOUSE Click on a picture below for additional information on Guard Houses.